Our task is to utilize the cutting edge expertise and innovation power that has been gathered in Norrköping and the region. 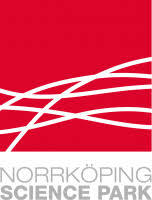 Norrköping Science Park has a close collaboration between Linköping University, Norrköping Municipality and the business community. Our starting point is the unique competence of Linköping University, LiU, especially in our Printed Electronics, Interactive Services and Visualization areas. With that as a base, we work to create a creative and knowledge-intensive environment that promotes entrepreneurship, entrepreneurship and growth.